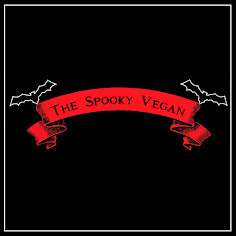 The Spooky Vegan: A July Visit to the Halloween Club! 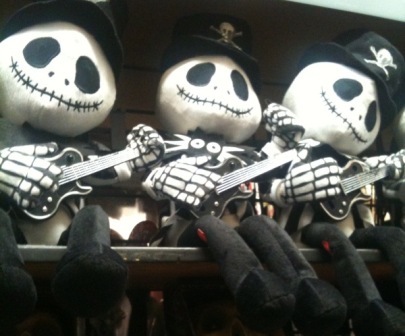 Yes, my friends all laugh at me when I head to the Halloween Club as early as July...but fellow Halloween enthusiasts will understand my early excitement over the holiday! 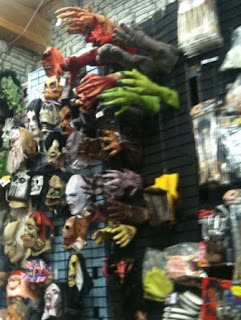 So when my boyfriend suggested we go check out our year-round Halloween super-store yesterday, I was all over it! Before you could say "bubble bubble toil and trouble" I was dressed and in the car! 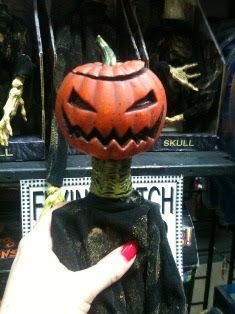 Pumpkin Head Puppet - I WANT!!!! 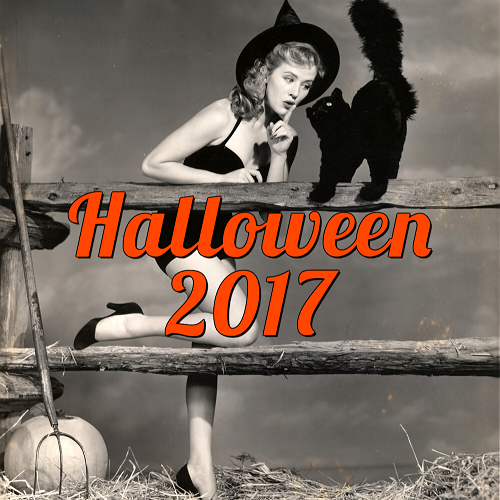 The particular Halloween Club we go to is about 20 - 30 minutes away, so we had plenty of time to blast some Halloween tunes as we cruised down the highway. 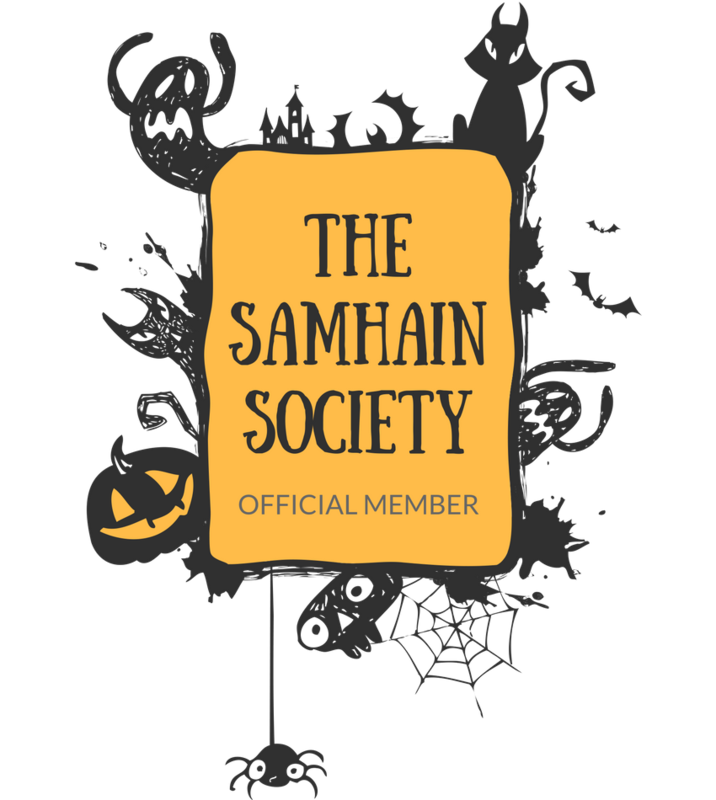 Of course, I was all giddy with anticipation...The Halloween Club is one of my absolutely FAVORITE places...right up there with Disneyland, pumpkin patches and my parents' house! At the Halloween Club it feels like Halloween everyday and they have (almost) everything my Halloween-loving heart wants! 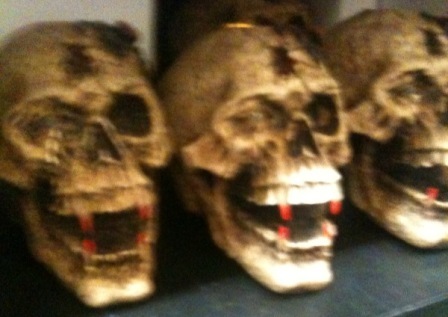 When we got there I immediately headed towards the animatronic props, as they were 50% off!! 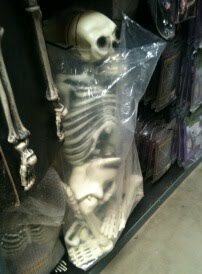 I then pretty much spent the next few hours wandering aisle by aisle and checking out all their cool stuff. I even tried on a few costumes! I was originally gonna be Maleficent from Sleeping Beauty or Belle from Beauty and the Beast to fit our Halloween party theme of "Unhappily Ever After", but now I think I may go even simpler and just choose a cute witch outfit. 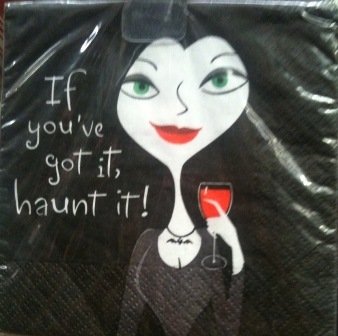 You'll never know until after Halloween! However, I think we'll be back mid-to-late August when they are more fully stocked. Gives me an excuse to browse some more and pick up a few items I wasn't able to buy this trip! Check out more pics below to get you in the Halloweenie spirit! 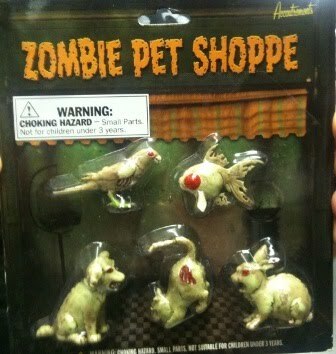 These zombie pets don't come cheap...this was $15!! 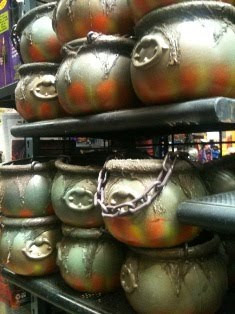 You can never have too many cauldrons! 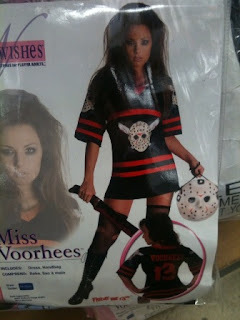 and it says "Vorhees" on the back of the jersey! 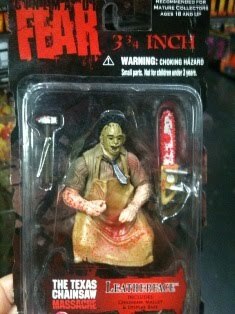 I bet this would be super-easy to make yourself! Absolutely epic! I'm a little pissed you beat me to the first halloween themed post of the year though, I am the halloweenman afterall, haha. 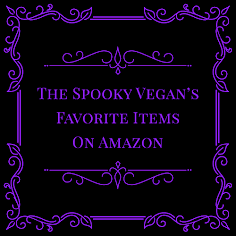 Great post and keep us updating on any and all halloween purchases this year! Wow...we don't have any year round Halloween stores, but we did drive by the annual one across the street from the mall this weekend and they were emptying boxes and had a sign on the door that they'd be opening in August! Hooray! 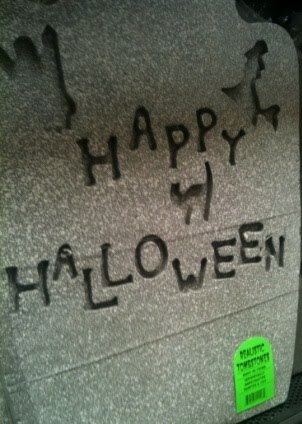 Year-round Halloween store? I'm jealous. Holy cats, how splendid - what a fun destination!